Miss Kitty Baby paired up with Polly Wood's reading. 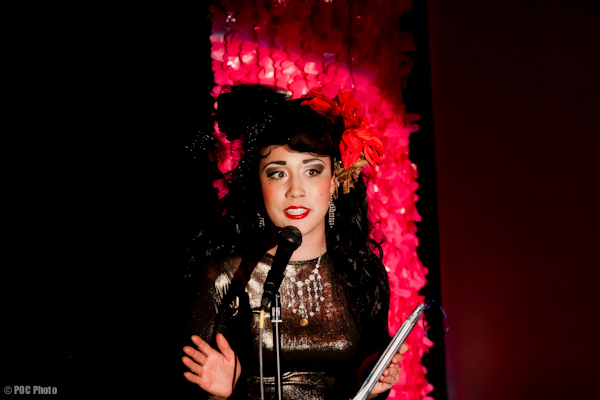 Friday night’s Very Special Feelings show lived up to its name; the “Salon of Shame” style mix of burlesque and personal memorabilia from Sinner Saint Burlesque and friends was a big hit, and very…intimate. 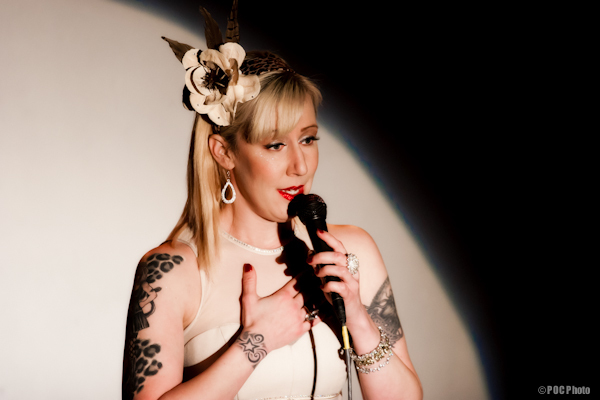 “Last year a few of Sinner Saint ladies read some of their journals, diaries, poems, etc. in between burlesque acts in their show Private Parts. It was quite entertaining. This year they did one better with Very Special Feelings, a benefit fundraiser to help them get to London. 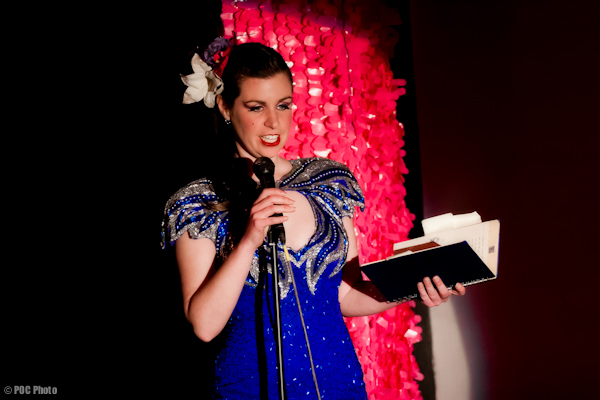 This time the Sinner Saint ladies read from their personal writings of the past while paired up with another performer in an interpretive burlesque dance to the reading. The Luminous Pariah paired up with Paris and Trojan Original. Jesse Belle-Jones, resplendent as always. -Recap commentary and photos by Paul O’Connell, POC Photo. ~ by angrytruffle on 02/08/2011.